Sweet Home Federal Credit Union strives to provide the best products and services for our members. If you have any questions, please feel free to contact us at any time. Sweet Home Federal Credit Union offers a wide variety of share accounts to help you save and plan for your future. All of our members’ share accounts are insured by the National Credit Union Administration up to $250,000.00. The minimum deposit for a share (savings) account is $5. After depositing at least $5 into a share account, members may take advantage of any of our services. Any account having no activity for a period of 1 year will be assessed a dormant fee of $15 per quarter. In order to avoid this fee, accounts must have a withdrawal, deposit or transfer posted to their account. Accounts with a mortgage, loan, certificate or IRA are exempt from this policy. Please call the credit union for questions regarding this policy. No minimum balance requirements, no monthly fees, no per check charges, first set of checks are free. Electronic deposit/payroll deduction of your paycheck is available. We do offer overdraft protection for your share draft accounts. Make saving for the holidays painless! Employees of the Sweet Home Schools may have Holiday Club deposits taken from their paychecks. Members not employed by Sweet Home Schools may make deposits at their convenience. Funds will be available in early November. Save for summer vacations, home improvements, bills or anything! Employees of the Sweet Home Schools may have Summer Savings Club deposits taken from their paychecks. Members not employed by Sweet Home Schools may make deposits at their convenience. Funds will be available in early July. Our youth savings program, the Mini Savers Club, is offered at all of the elementary schools in the Sweet Home Central School District. This program will teach your child about the importance of saving while making it fun! To take part, parents must first complete a credit union membership application for the student (including a copy of the adult’s driver’s license) and make an initial deposit of at least $5.00. Participating students will receive a coin pouch. They will then be able to make deposits to their accounts right at school! Deposits will be picked up at Heritage Heights and Maplemere on Tuesdays, Glendale and Willow Ridge on Thursdays. Have questions? 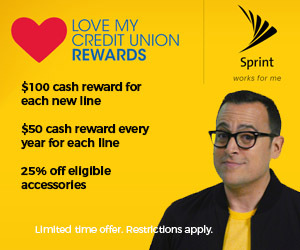 Call the credit union at 691-9187 today! We offer two types of IRA’s. Type A (Accumulative) may be opened with as little as $25.00. The interest is compounded and paid quarterly. Type SC (Share Certificate) may be opened with a minimum contribution of $2,000. This is a 12-month IRA share certificate with interest compounded and paid monthly. The Type A IRA may be converted to a Type SC IRA when the total reaches $2,000 or more. Sweet Home Federal Credit Union offers a wide variety of loans at affordable rates. Are you looking to buy your first car? A new motorcycle or pickup? A motor home or RV? Any member having at least one share may apply. *Please check with your tax advisor regarding you tax benefits. 1 Title insurance may be required and is paid by the borrower. The remaining closing costs paid by SHFCU on behalf of the borrower will be charged back and added to the payoff amount of the loan if the home equity line is paid in full within five (5) years of loan closing. Closing costs generally total between $250 and $1,250. 2 Calculated by multiplying the appraised value by 80%, less the remaining balance on your first mortgage. 3 The annual percentage rate is based on the value of an index. The index is the Prime Rate published in the Money Rates column of the Wall Street Journal. Interest and payments adjust annually on the 1st day of March, with a 2% annual cap and a 17.90% lifetime cap. The Annual Percentage Rate will never go below 4.0% unless the credit union is running a lower promotional rate. All rates quoted and listed are subject to approval. Rates may vary from those quoted and listed based on your credit history. 4 This plan has a fixed rate option which the borrower may exercise each time a minimum advance of $1,000 is requested. There is a low processing fee of $25 when the fixed rate option is exercised. The fixed rate option has repayment terms of 60 months, 120 months, or 180 months providing the payoff period does not exceed the number of months remaining to the maturity date of your plan. 5 Please consult a tax advisor regarding deductibility of interest. To help us achieve our goal, we have partnered with OwnersChoice Funding. Feel free to visit their website at www.ownerschoice.com for current rates, or to apply online! You may also call the credit union at (716) 691-9187. 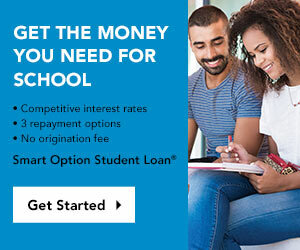 The Smart Option Student Loan® for the Sweet Home Federal Credit Union by Sallie Mae®. For borrowers attending degree-granting institutions. The loan is an ideal solution to help you pay for college expenses not covered by scholarships and federal loans. To learn more, please get started here. * We are compensated by Sallie Mae® for the referral of Smart Option Student Loan customers. Use your regular share account or certificate of deposit as collateral for a Share Pledged Loan! You’ll receive a LOW rate on your loan while your savings account continues to earn dividends! This is a perfect way to establish new credit or to re-establish credit at a low rate.